I know it is not exactly pie season anymore, but I could not pass up the opportunity to share this brilliant idea! Do you find yourself throwing away the extra dough left over from a pie crust? I know that I am guilty! 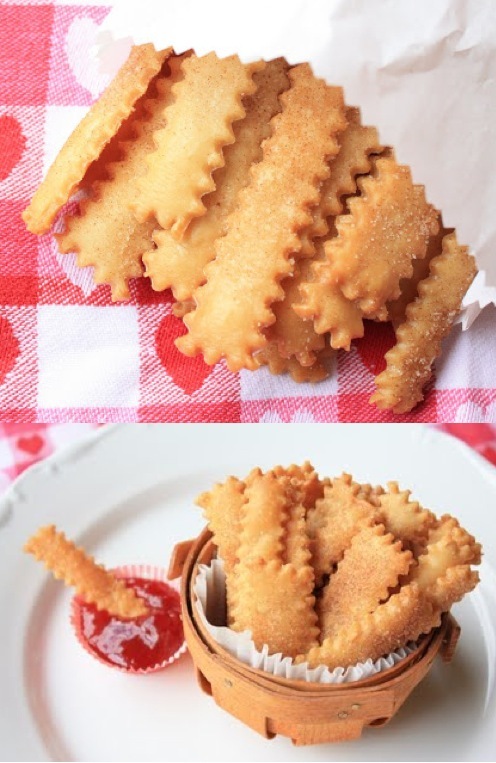 I ran across an idea that makes quite a fun snack for your little ones-Pie Fries!! What a great way to stretch your dollar further! ***You could use melted chocolate or Nutella as a dip for these yummy treats! This would also be a GREAT party food!